I love making burgers, there’s something so satisfying about mixing all those ingredients together into a bundle of flavours – especially when you get to use your hands. This recipe is inspired by one I saw in the paper and adapted and expanded. 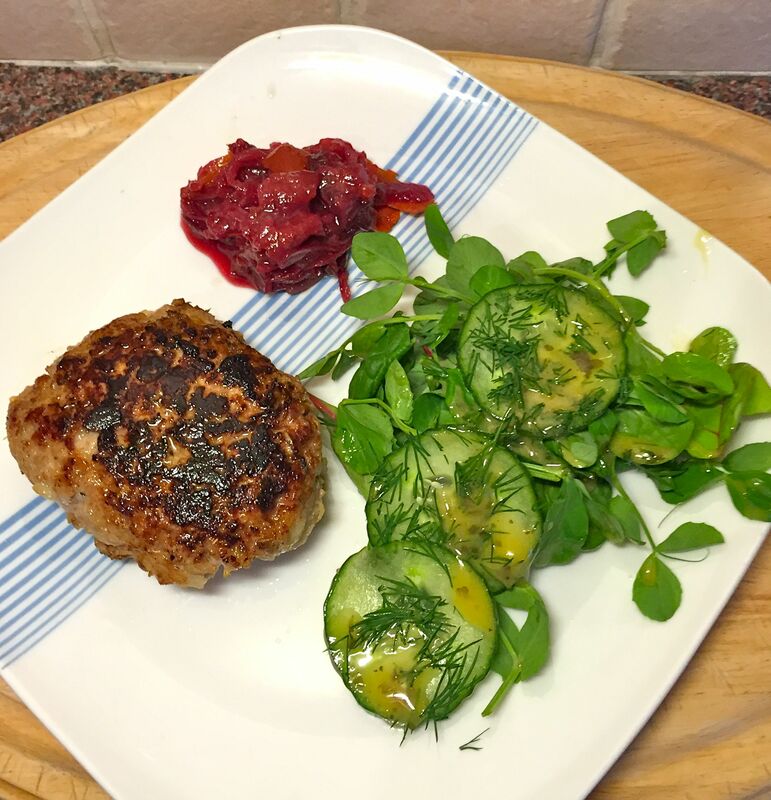 The burgers are wonderfully moist with a light fruity flavour. 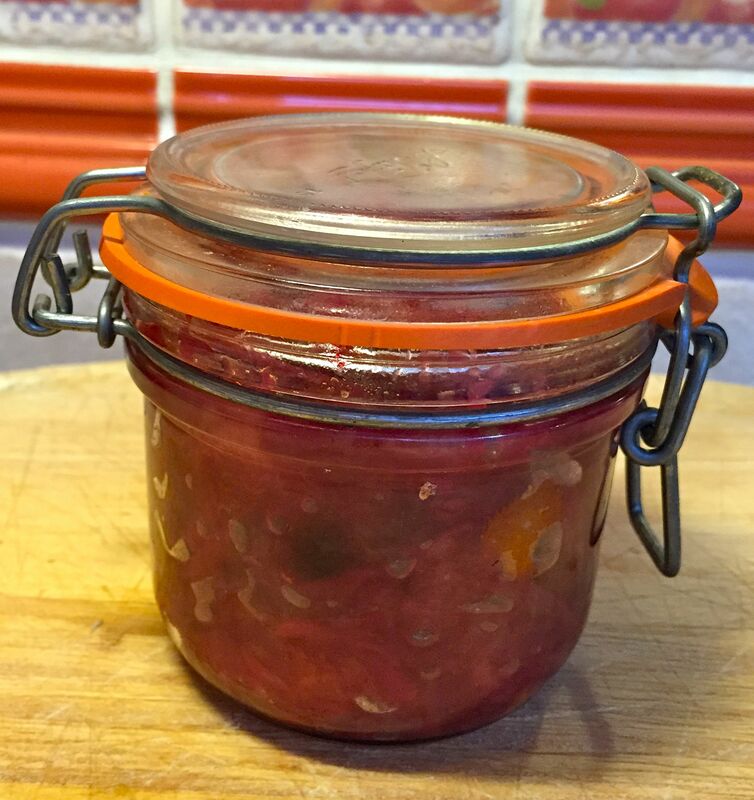 The plum relish is oh-so-simple to make and is wonderfully zesty. And you’ll be left with a decent jar of it in your fridge to spice up cheese and cold meat. For some reason while I was pondering dinner (something I do every day), the flavours of cucumber and dill popped into my head. 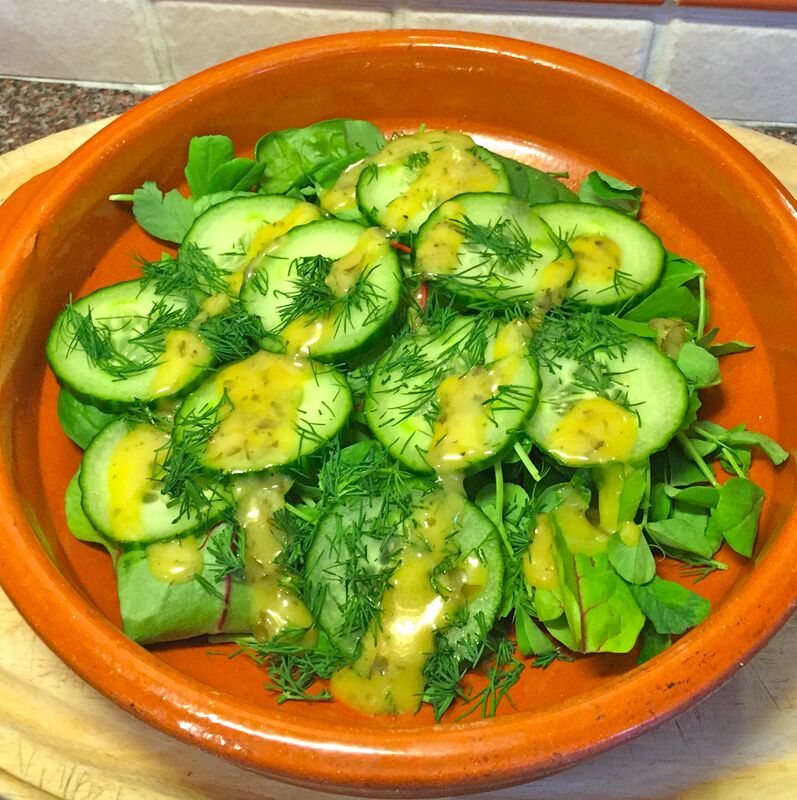 Served on a bed of leaves with a simple French dressing this is a fabulous salad that goes perfectly with the rest of the plate. You’ve simply got to give it a try. Place the pork, apples, breadcrumbs, thyme, mustard and salt and pepper in a bowl and mix thoroughly with your hands. Shape into four burgers and put in fridge to firm up. Then make the relish. Heat the sunflower oil in a pan. Add the onion and ginger and cook gently for about 10 mins. Add the plums, sugar and water and cook until the plums have completely softened – around 15 mins. Add the vinegar and orange zest and cook on low for another five minutes. Fry the burgers for approximately 6 mins on each side. Slice the cucumber and lie the slices on top of the leaves. Scatter the chopped dill and pour over French dressing.